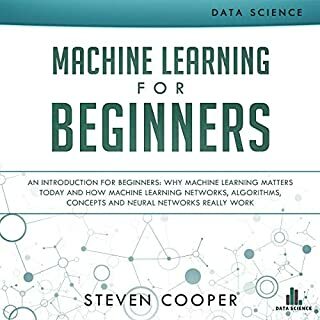 If you are looking for a complete beginner's guide to help you learn about machine learning in just a few hours using examples, then you need to check out this audiobook. Predictive modeling uses statistics in order to predict outcomes. However, predictive modeling can be applied to events regardless of time of occurrence. When it comes to the applications of predictive modeling, techniques are used in various fields including algorithmic trading, uplift modeling, archaeology, health care, customer relationship management, and many others. 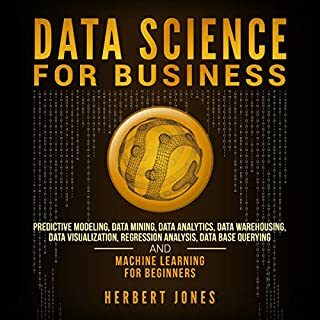 This book covers the predictive modeling process with data preprocessing, data splitting, and crucial steps of model tuning and improving model performance. If you are looking to start a new career that is in high demand, then you need to continue reading. Data scientists are changing the way big data is used in different institutions. Big data is everywhere, but without the right person to interpret it, it means nothing. So where do business find these people to help change their business? You could be that person! It has become a universal truth that businesses are full of data. With the use of big data, the US healthcare could reduce their healthcare spending by $300 billion to $450 billion. 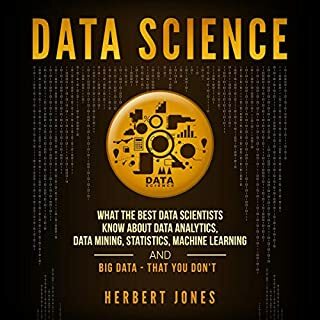 It can easily be seen that the value of big data lies in the analysis and processing of that data, and that’s where data science comes in. The use of data science adds a lot of value to businesses, and we will continue to see the need for data scientists grow. As businesses and the Internet change, so will data science. This means it’s important to be flexible. When data science can reduce spending costs by billions of dollars in the healthcare industry, why wait to jump in? If you want to get started in a new, ever-growing career, don’t wait any longer. Download your copy now! The audio preview was misleading. 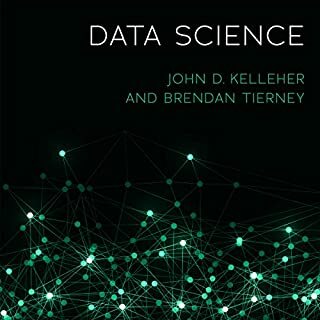 It made it seem like the book was going to be a blend or theory and practical for aspiring Data scientists. Instead half the audio was spent reciting complex python code, which was difficult to follow. I was honestly hoping for more. Just a heads up. You would probably get more by skipping the audiobook and buying a physical or digital text copy instead. 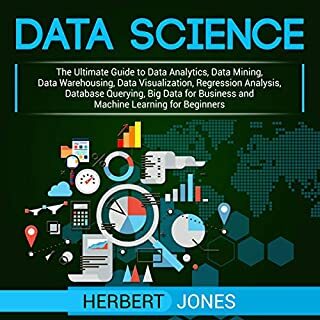 I had thought this would be more of a guide, discussing the components of data science. There is some of this, but the book is 5 hours, and 3 of it is code. Why create an audio book that is mostly code. Maybe it works for some, it didn't for me. 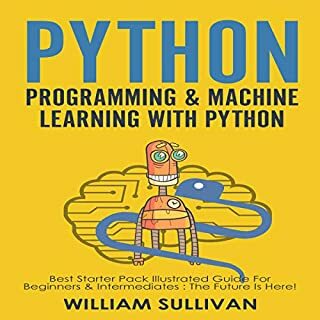 Such a "step-by-step manual" demands "visual illustrations"; at least for me, I tried couple of times to follow through with my eyes closed, or when using Python; but it didn't work! It may be my lack of imagination.. 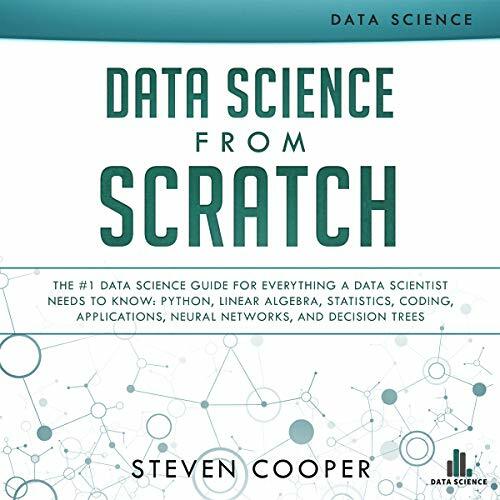 I was really excited to dive right into getting a fresh start on Data Science as a whole and this book did delivered. The content was very structured, which was great for covering this topic as it is mathematical at it's core. However, I felt as though there was a lack on the delivery, not from Steven Cooper as a reader, but on parts that had mathematical content. Much of the book has formulas and most of the time I could hear Steven struggle to deliver them effectively. This is what caused me to skip over parts of the book that mostly contained formulas, and would instead cause me to look up the formulas online. This would not be a problem, but it was a detraction. I don't feel like anyone could deliver formulas effectively in a audio book, but the listener should take that into consideration. Again, it is not a problem, as there were parts that you could listen through, but for me personally I feel that visually seeing the formulas is easier. Worst book I ever listen in Audible.. The Narrator reads also the page numbers... RIDICULUS! I'd just like to warn people that the 5-star 'reviews' for this audiobook are completely bogus. Just look at them - 5 stars across the board, yet in every case, the review is short, vague, and poorly written, ... and all written within a week of each other. Amusing, in a way. But what the hell is going on - how can Audible allow this? Look, I'm a huge Audible fan and this is actually a totally abysmal 'book'. It's not particularly long but still, large chunks are examples of Python and Java, read out totally verbatim in excruciating detail, with all the parentheses, asterisks, etc read out as such. Hearing code dictated in this way is NOT USEFUL, even for programmers, and there is no accompanying PDF. So... 1 star from me. Please don't be fooled - this is a con. If, like me, you HAVE been fooled, it's possible to get your money back. I really hope that the 'author' and 'reviewers' do not get away with this.